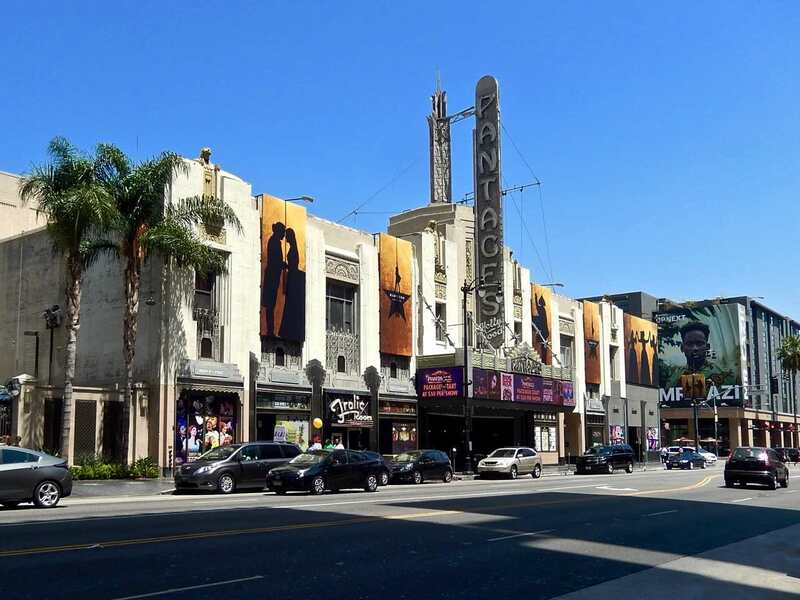 On one hand it’s not that big of a deal, Sergei Rachmaninoff making his debut with the LA Philharmonic at the Pantages Theater in Hollywood. 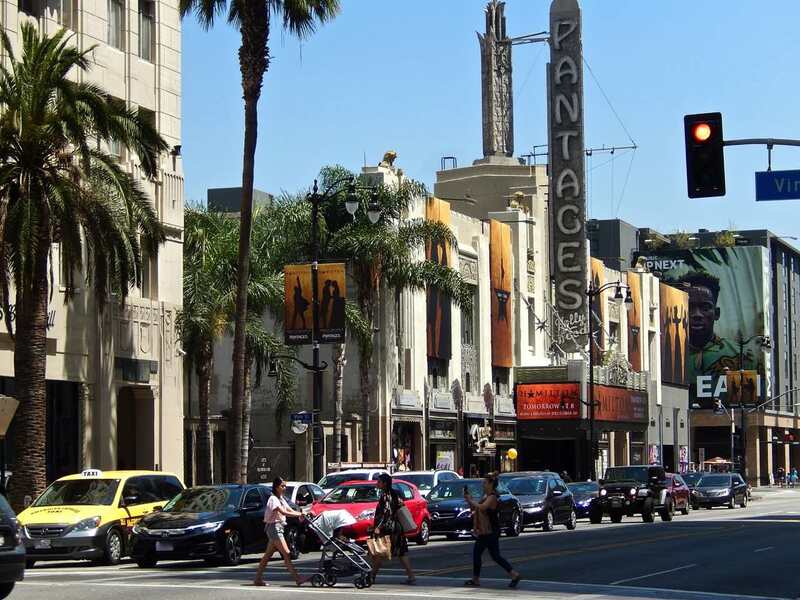 Rachmaninoff played around Los Angeles with some frequency (we’ve written about some of those concerts here), and he played many concerts throughout the United States. 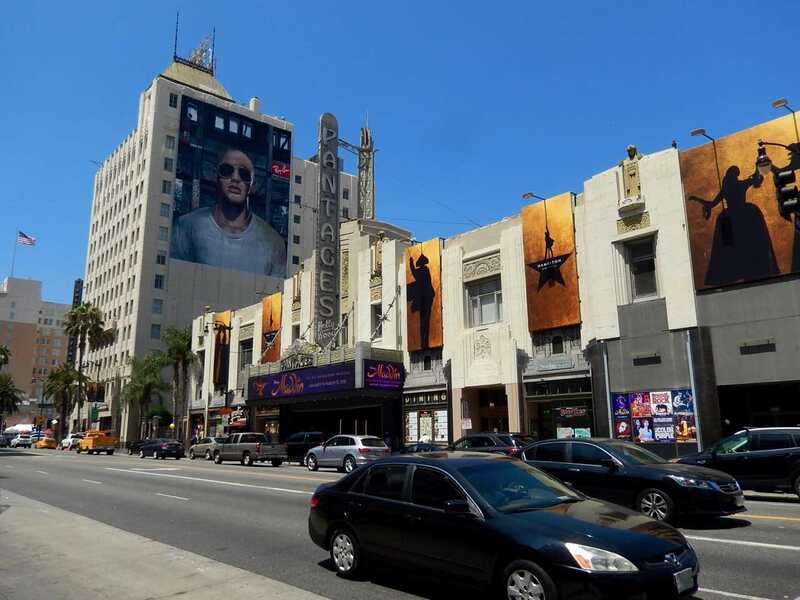 And still, there is something with a bit of magic dust about being able to walk up to the corner of Hollywood and Vine in LA and looking down Hollywood Boulevard to see that same Pantages Theater staring back at you, almost, if not exactly, as it might have appeared to Rachmaninoff that late January night in 1940 when, as a pianist, he performed his Piano Concerto No. 2 under the baton of conductor Leopold Stokowski. It is probably fitting that in program that night was also Igor Stravinsky’s The Firebird, Stravinsky and Rachmaninoff having been something of friendly thorns in each others’ sides for decades by then. 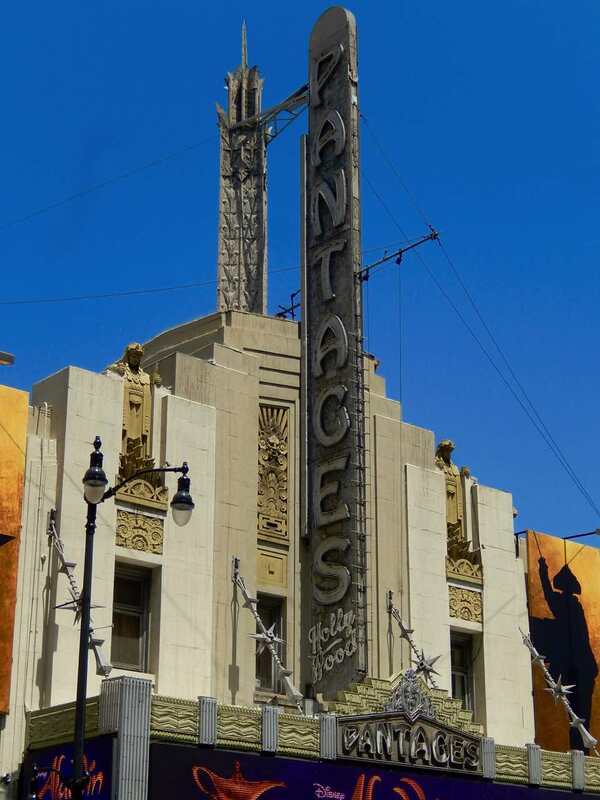 The Pantages is rather worse for the wear at this point in its life. There’s something crass and commercial about it. 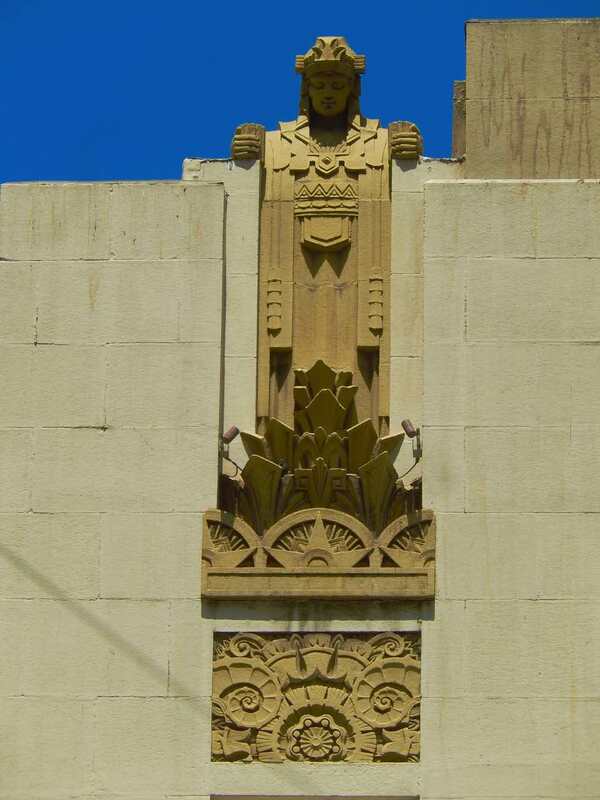 You look at old photos of it and it has real gravitas, despite, or thanks to, the quirkiness of its architecture. 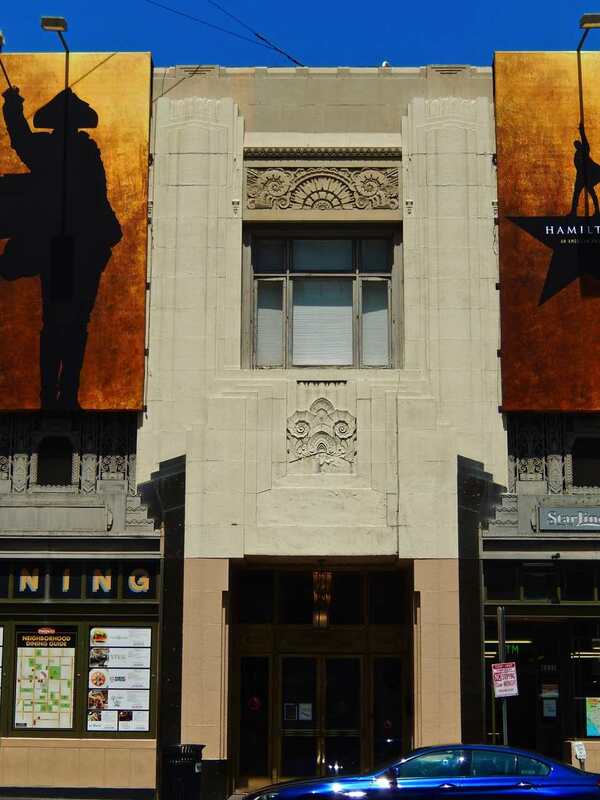 Now it seems a bit squat and cramped in its quarters among other buildings. 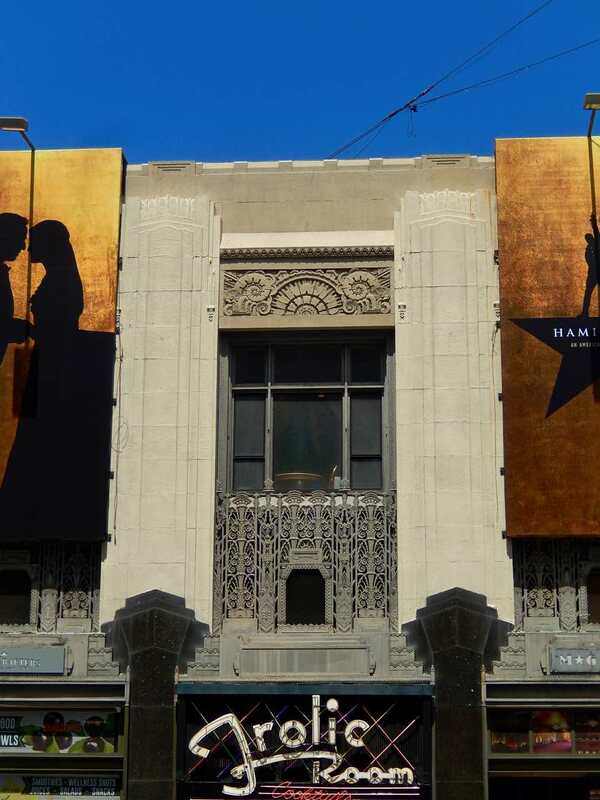 The advertising marquees plastered all over it don’t help (Hamilton had just opened here for its L.A. run the night before I took these photos). The place needs some paint and some new plaster as it also needs some good buffing up on its metallic features. 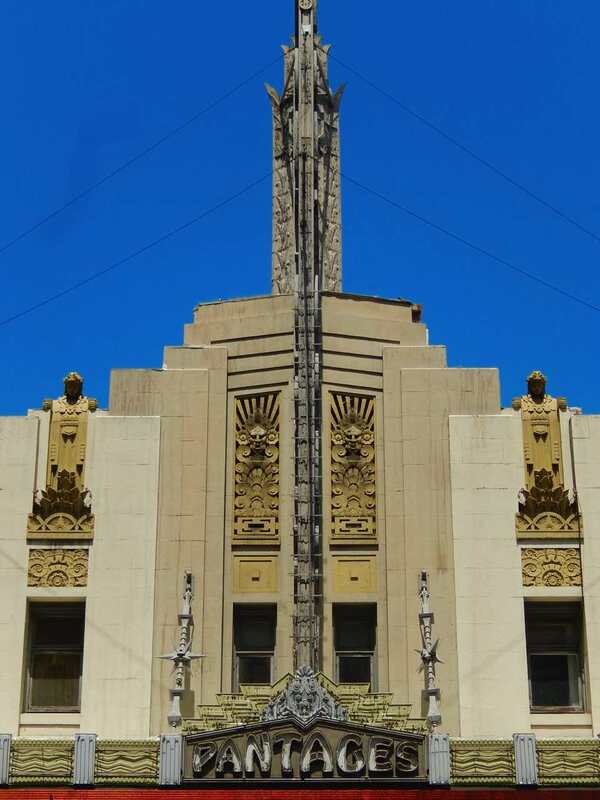 And still, here it is, the place where Rachmaninoff first teamed up with the L.A. Philharmonic, and where he performed as the great Stokowski looked down over him from his podium. Some good soul on YouTube restored and remastered a full recording of Rachmaninoff and Stokowski performing the Piano Concerto No. 2, so you can actually get a feel for what Isabel Morse Jones was so excited about that night. I must say, it is remarkable – both the performance and the recording. The Piano Concert No. 2 is, of course, central in Rachmaninoff’s work. To slight nothing else that he wrote, this is the work that established him and has sustained the often fanatic adoration that his person and his music continue to evoke today. It’s not terribly surprising that this would be true. If you skipped over the link just above, go back now and click on it. Listen for just the shortest amount of time and you will surely hear what I hear – the man himself in his music. Those notes are Rachmaninoff’s heart and soul, his thoughts, his memories, his dreams. He really did have an amazing ability to make his dreams come to life in sound. When Rachmaninoff writes them and then plays them, these are not merely notes. They are a gateway into a man’s vision of life and the world. Does that sound overdone? Have you done what I asked? Are you listening to the man play? “Rachmaninov composed it [Piano Concerto No. 2] following a period of deep depression during which he questioned whether he could ever compose again. Response to his First Symphony – after it was initially performed in St. Petersburg – was extremely negative, sending Sergei Vasilievich into a tailspin. A brilliant pianist with a famously wide hand span, he began to think performing in concert (or conducting) might be a better career path for him. Deeply unsettled, he began drinking too much alcohol. By the end of 1899, he was drinking so much that his hands shook – preventing him from playing the piano. Recognizing he needed help, Rachmaninov visited a Moscow specialist in ‘neuro-psychotherapy,’ named Nikolai Dahl, whom he regularly saw between January and April of 1900. Dr. Dahl reportedly used hypnosis to break Rachmaninov’s lethargy and depression, suggesting to him – during trance therapy – that he should compose a new piano concerto which had been commissioned by a London patron. 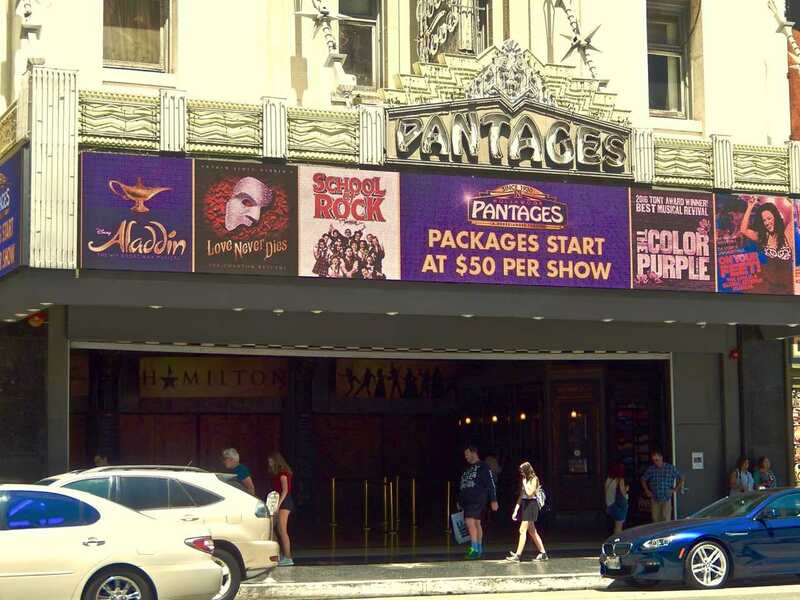 Give that some thought the next time you meander past the Pantages on Hollywood Boulevard.